Rudnikas.com | After a car accident, you only have 14 days to go to the doctor. After an automobile accident, you only have 14 days to go to the doctor. If you do not, you will lose your right to receive $10,000.00 in medical expenses and wage loss. The Florida Legislature recently amended Florida’s No Fault Law. The general public knows this type of insurance coverage by several names: a) PIP [personal injury protection], b) No Fault Insurance, c) Mandatory Insurance to obtain your vehicle’s tag. This third name is how the majority of the public is acquainted with it. Basically, the law makes every driver responsible for his first $10,000.00 in medical expenses and wage loss irrespective of fault and requires that every driver buy automobile accident insurance to pay his own medical expenses and wage loss up to $10,000.00 after an automobile accident. Now, a person injured in an automobile accident must seek medical attention within 14 days of his automobile accident in order to be entitled to receive $10,000.00 in medical expenses and wage loss. This is unfair to the general public because, many times, injuries take time to manifest themselves. Therefore, our advice to everyone that is involved in an automobile accident is to go to the doctor right away. 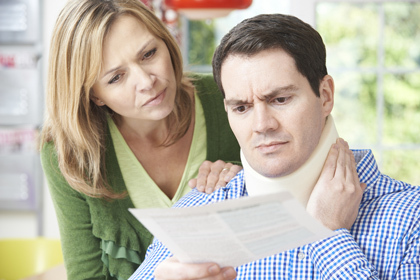 Under Florida Law, you are responsible for the payment of your own medical expenses and wage loss up to $10,000.00 even if you are not at fault for the accident. Neither the driver at fault nor his insurance company have to pay your first $10,000.00 in medical expenses and wage loss. For example, "driver at fault" runs a stop sign and fractures his foot. He also causes the other driver a fractured arm. The insurance company for the other driver will pay his medical expenses and wage loss up to $10,000.00 and the insurance company for the party at fault is only responsible for the medical expenses and wage loss that exceed $10,000.00. However, the company for the driver at fault will also have to pay medical expenses and wage loss for the driver at fault up to $10,000.00. What happens if the party at fault does not have automobile insurance and the medical expenses and wage loss exceed $10,000.00? The answer to this question is very important. The high cost of medical care nowadays virtually guarantees that if a person needs to be hospitalized the $10,000.00 in medical coverage and wage loss provided by his automobile insurance will be exhausted right away. If the driver at fault does not have insurance and the other driver has health insurance, the other driver will be able to collect from his health insurance his medical expenses over $10,000.00. The driver at fault is personally responsible for all his medical expenses. 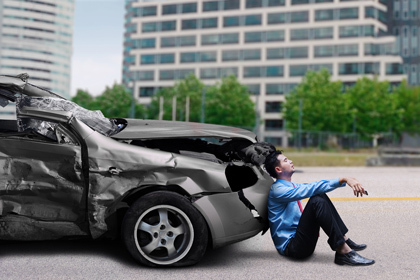 What happens if neither driver has automobile insurance? If they have health insurance, their health insurance companies will pay for their medical bills in accordance with their policies. If they do not have health insurance, both drivers will be responsible for paying their own medical expenses up to $10,000.00 and the driver at fault will be responsible for paying the other driver’s medical expenses over $10,000.00.